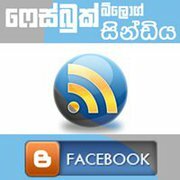 This entry was posted by Sanjaya on March 5, 2010 at 9:02 pm, and is filed under English, සිංහල. Follow any responses to this post through RSS 2.0.You can leave a response or trackback from your own site. මීරිගම නැතුව ඔනෙ දිහාක විකුනන්න අයියෙ… ඔක විකුනල ඉවර වෙලාම කියන්න මට ටවුමට යන්න…හි හි..
අන්න කණියො ලහිරුගෙන් හොඳ උත්තරයක්. අඩෝ මේව ප්‍රචාරය කරන්නෙ මුදල් ගෙවලද? වැඩියෙන්ම විකිණුනේ පූසො ඉන්න එක. අන්තිම‍ට කට්ටිය ඉල්ලනකො‍ට ඒවා ‍ඉවරයි..
කොච්චිවල වුනාම ඔහොම තමයි…ගනන් ගන්න එපා… ලොල්…. අයියේ, මේ‍ පොස්ට් එකේ පරන කමේන්ට්ස්සුත් පෙන්නනවානේ? ?